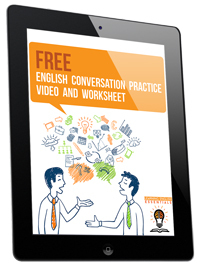 Are you interested in expanding your English conversation topics? 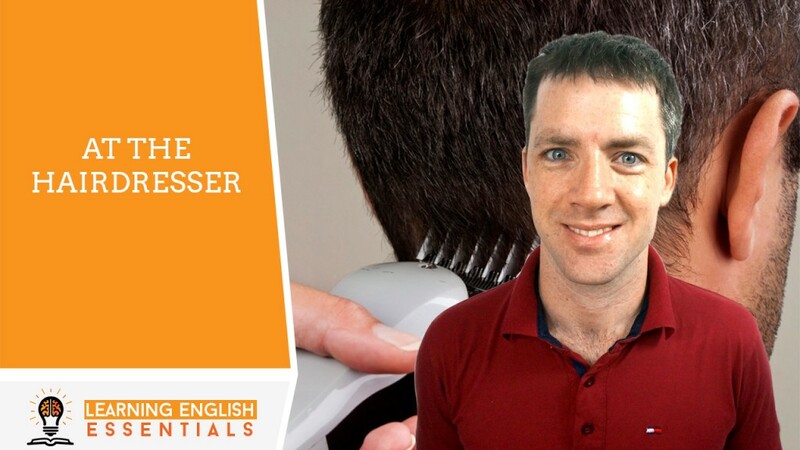 In this video I’ll share with you a simple, useful English conversation that you can use at the hairdresser immediately to improve your English quickly and without overwhelm. Stay tuned. A: I’d like to get my hair cut. Can I get it cut now? B: Yes, just sit down, I’ll be ready in 10 minutes. Okay, ready now, sit here please. B: Now, how would you like your hair cut? A: The same style as it is now, just a little trim to tidy it up. B: So, clippers on the side, blade 2 or 3? B: And about this much off the top? A: Not that much, a centimetre longer thanks. B: How about this length? A: Yes, that’s great thanks. B: Okay, take a look. What do you think? A: Just a little bit shorter at the front please. A: Perfect, thank you very much. It looks great. B: Okay, that’ll be $15. Come this way. Follow me. B: Thank you. Have a nice day. See you again. A: Thank you, you too. See you next time. This great for anyone who wants to learn how to expand their conversations! I honestly never know what to say sometimes when I’m at a new hairdresser. These are some good tips. Thank you, I’m glad you found the video useful. Yup, that is exactly the conversation I have with the barber when I take my boys for haircuts. Buzz on #3! Me too, I’m glad you found the conversation authentic Robin. These videos are great. It’s good that people learning English can hear how the words are pronounced as well as learning to read them. Thank you for the support Fiona. These are really useful videos. I admit, I’m one of those people that doesn’t like a lot of conversation while I’m getting my haircut. Interesting – will take a look on your channel then! Thank you Aisha, you should visit our channel and subscribe because we have more videos coming out soon. I agree….great for people learning to hear a conversation in a real application. Thanks for the support Zack. I go to my brother in law to get my hair cut since he’s a barber. I never really have this problem because we know each other and he’s part of the family. But it sure can be awkward at times I’m sure. This is a great video for those learning English. My friend’s wife could benefit from this, She’s not very fluent in English but trying to learn and I feel like conversation is probably one of the best ways! I agree with you Trisha. I think listening to and seeing the words of a real conversation can be useful for English learners. This would be a great video to new english speakers. It’s a pretty essential thing to know how to converse for occasions like this! I agree Eileen, I hope language learners can use these conversations as a guide to having their own conversations in English. These are so amazing. You are providing such a great resource! Great learning tool to teach English. Everyday situations is great to know too instead of the normal stuff. Very glad you found it useful. What a great video for those trying to learn how to have basic conversations in English. Thanks for sharing. Very nice learning tool. I can’t even remember the last time I went to a hairdresser…oh yeah…prom – lol!